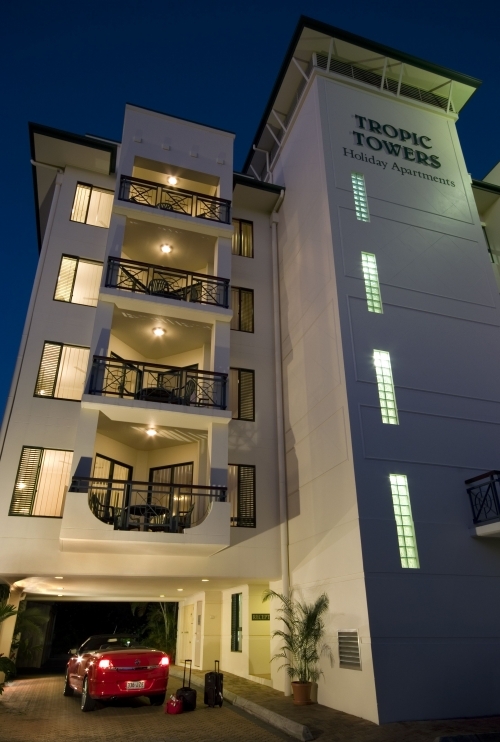 Tropic Towers Apartments is a Four Star holiday complex comprising both one and two bedroom spacious, fully self-contained apartments. 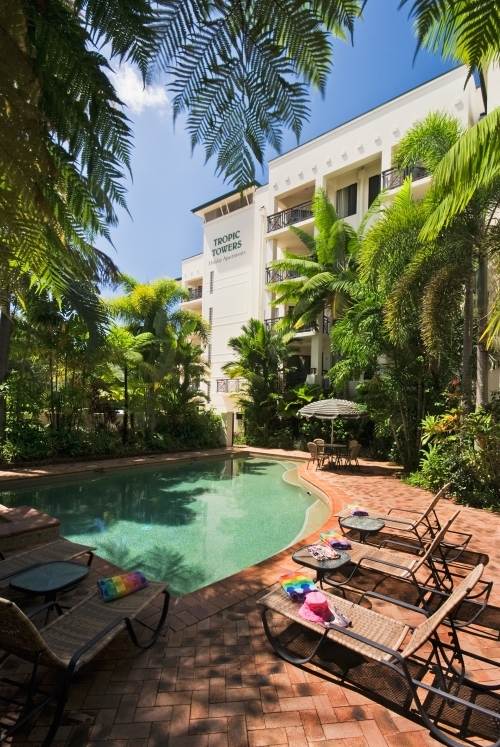 All apartments have full kitchen and laundry facilities, private balcony, ducted air-conditioning, Cable TV and Broadband Internet access. 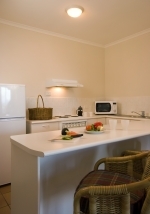 All apartments are supplied with cutlery, crockery, glassware, kitchen utensils and linen. Servicing of the apartments includes fresh towels and rubbish removed daily and linen changed weekly. 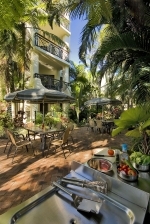 The swimming pool, spa and barbecue area is set in lush tropical gardens. 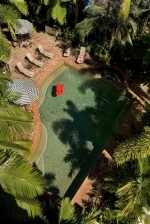 Reception hours are 7.00 a.m. to 7.00 p.m. Mon-Sat and 8.00 am to 12 noon Sun & Public Holidays. 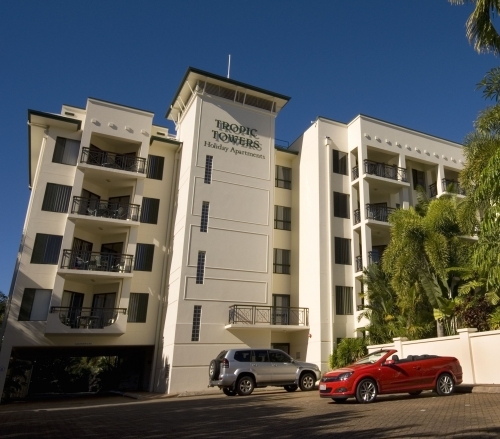 Late arrivals can arrange key pick up by calling during reception hours prior to arrival. 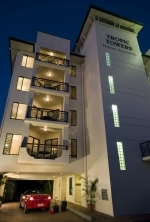 Tropic Towers Apartments is centrally located on Sheridan Street, 2km north of the main city centre and 5km south of the airport. 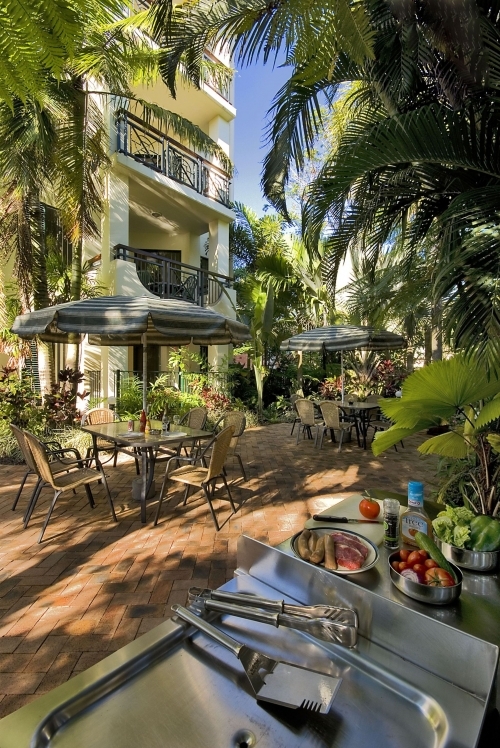 Convenience stores, restaurants, hotels and clubs are within easy walking distance.